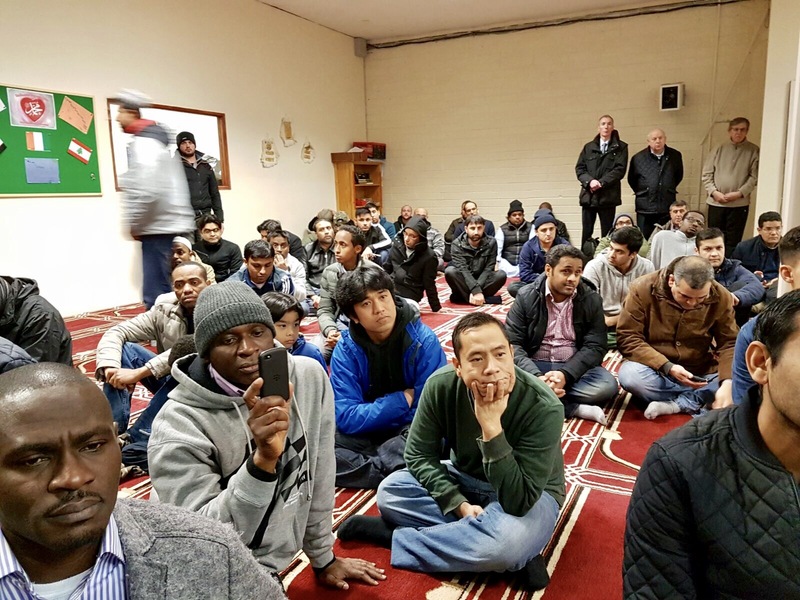 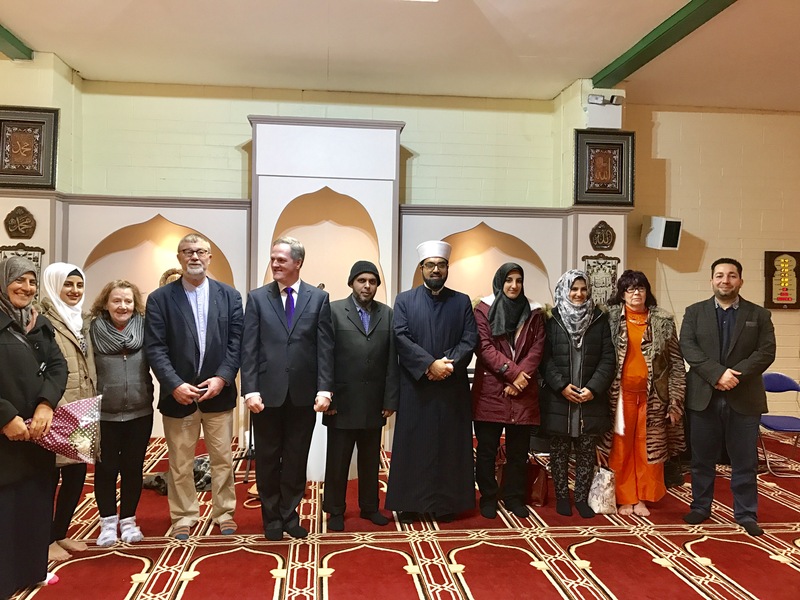 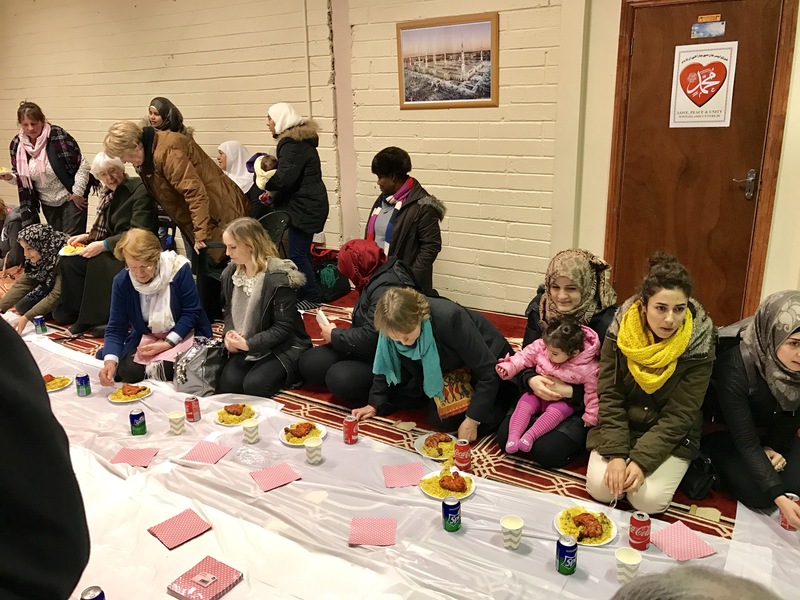 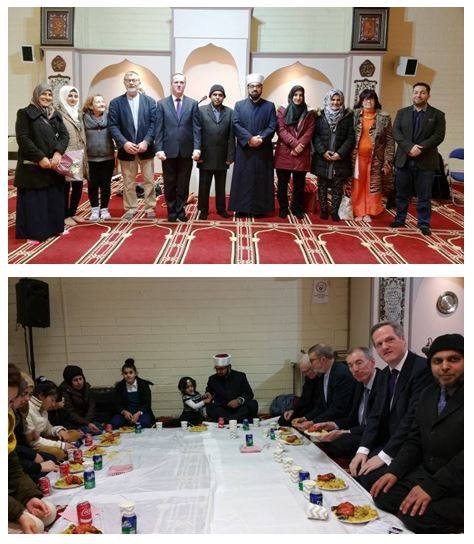 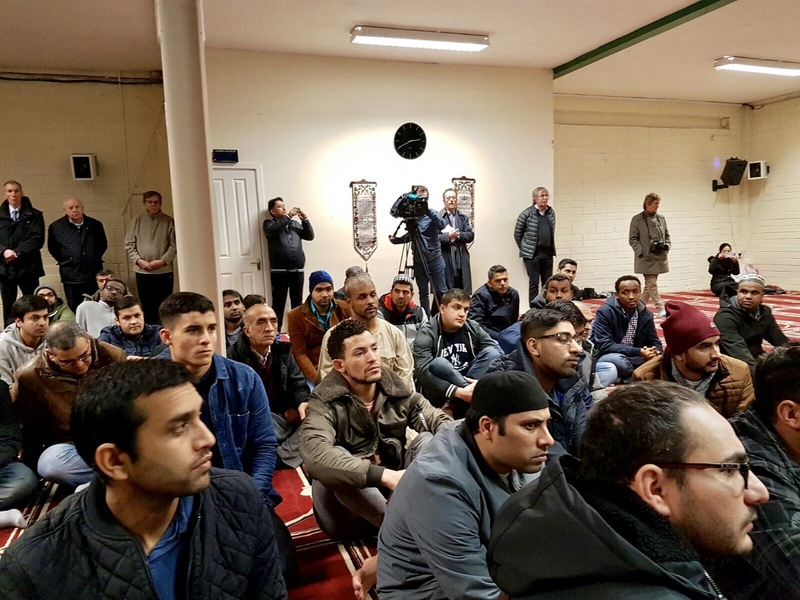 Al-Mustafa Islamic Centre Ireland hosted a welcome reception on Friday 13th January at 1pm for a group of Syrian refugees that have arrived recently in Ireland with the collaboration of Irish Muslim Peace & Integration Council. 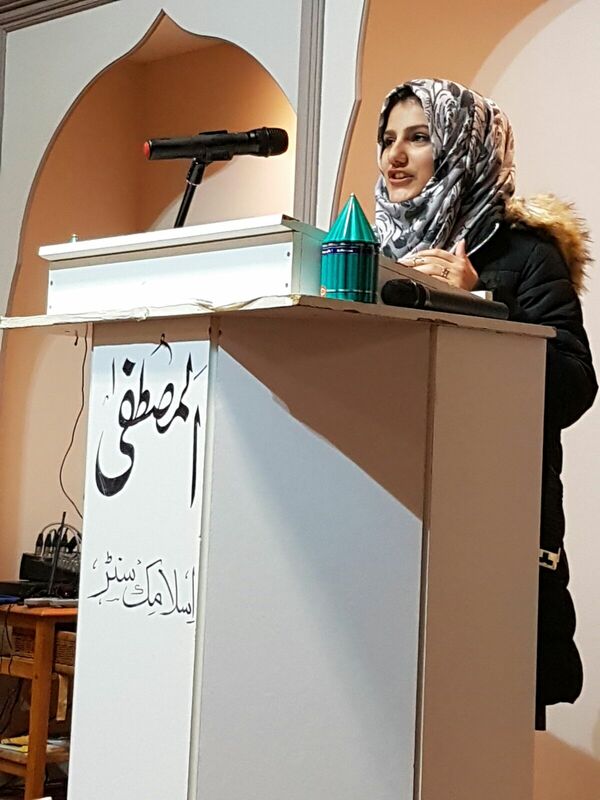 The purpose of the welcome reception was to promote integration and counter islamophobia. 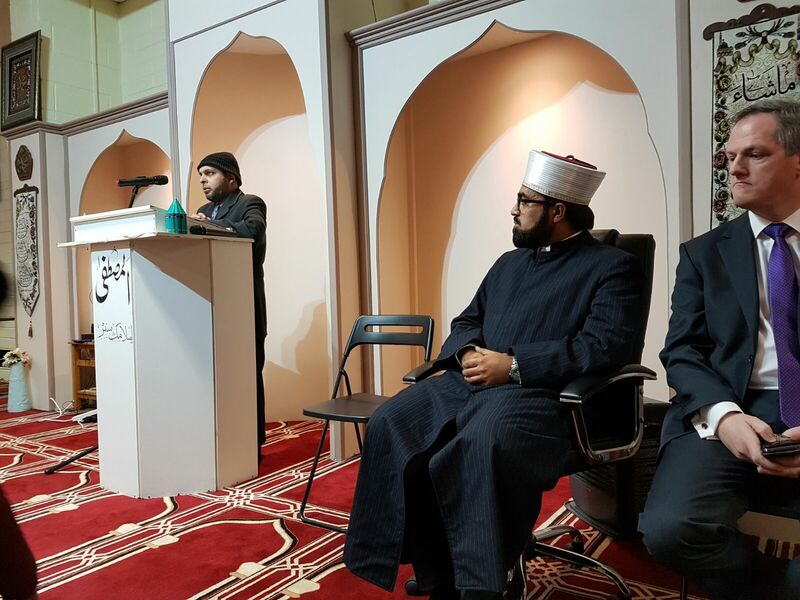 Shaykh Dr. Umar Al-Qadri, Chair Irish Muslim Peace & Integration Council & Head-Imam of Islamic Centre Ireland, said that the Irish nation is known for its generosity and warm welcome but this can change if the refugees do not integrate in the society. 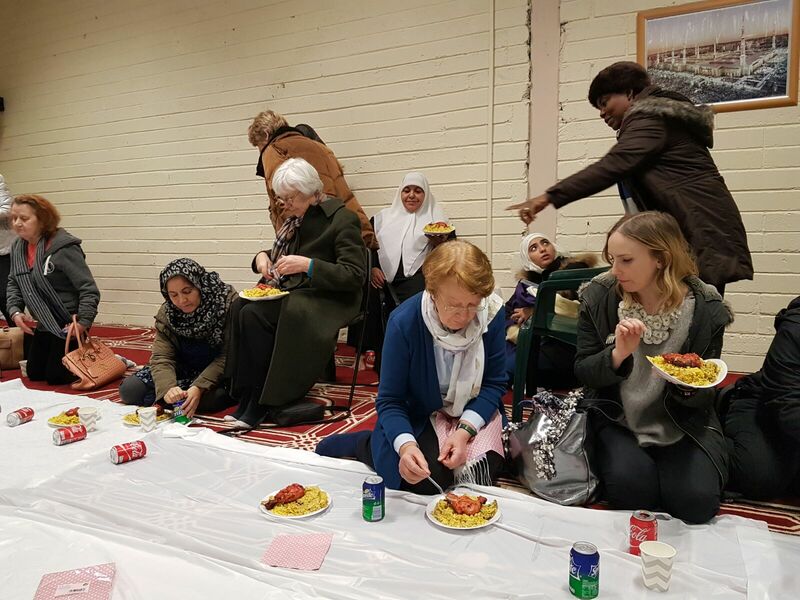 As Irish Muslims we must play our role in ensuring that integration takes place. 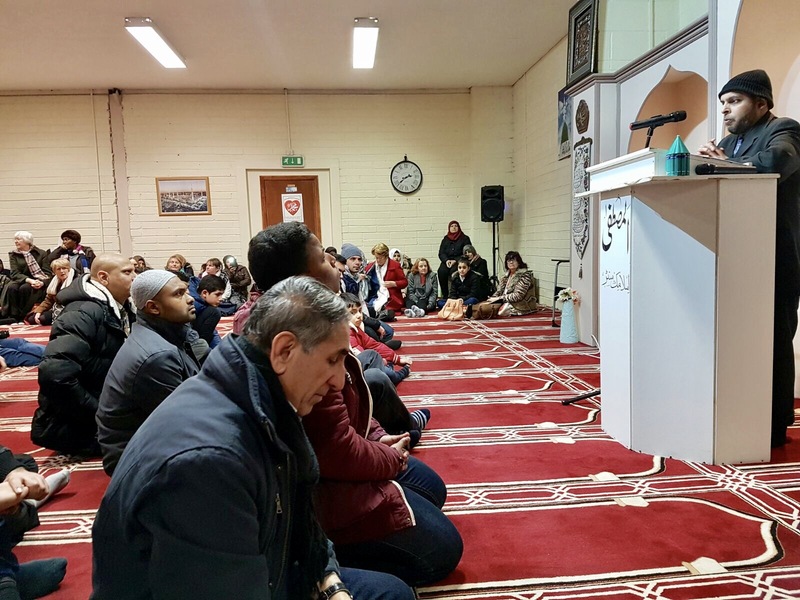 As many Syrian refugees adhere to the Islamic faith, it will be crucial that they receive guidelines on the importance integration from the Muslim religious leaders also. 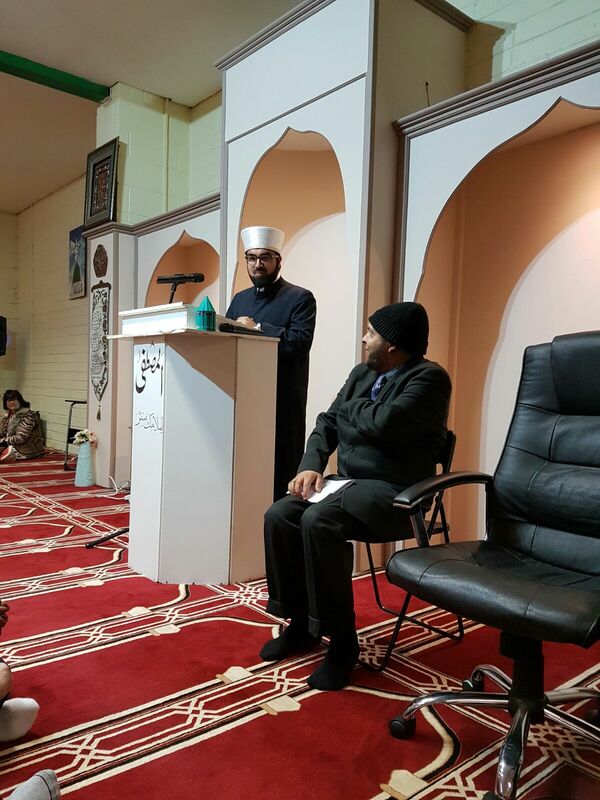 Shaykh Dr. Umar Al-Qadri also said that from an Islamic perspective even the Prophet Muhammad was a refugee. 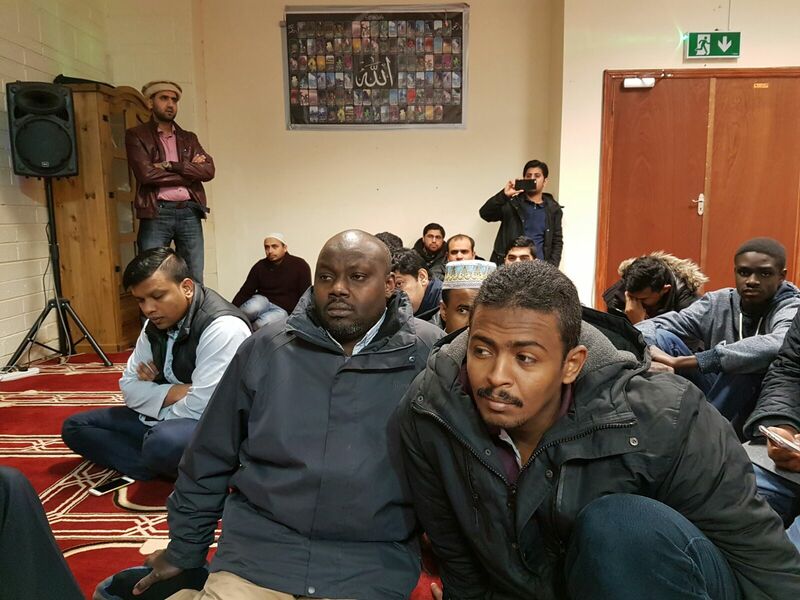 He had to flee his homeland of Makkah as he was faced religious persecution. 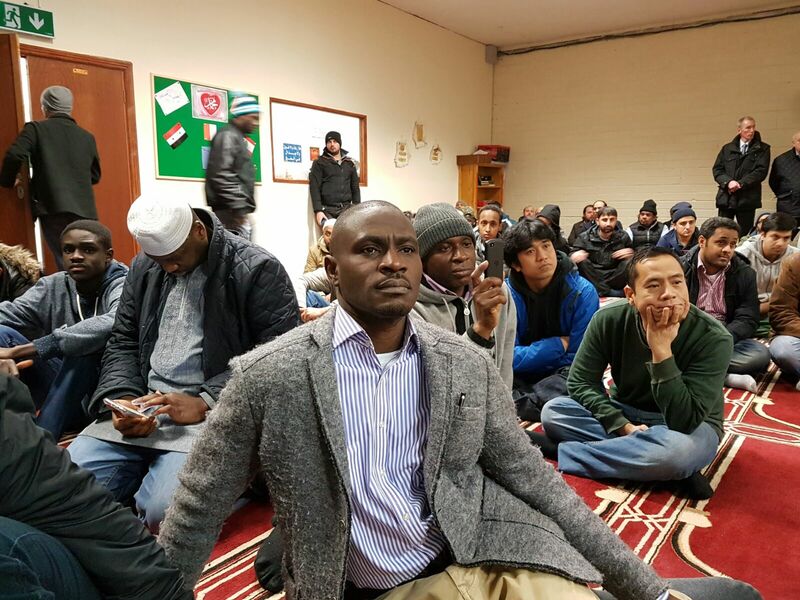 He migrated to Madinah and was warmly welcomed by the locals. 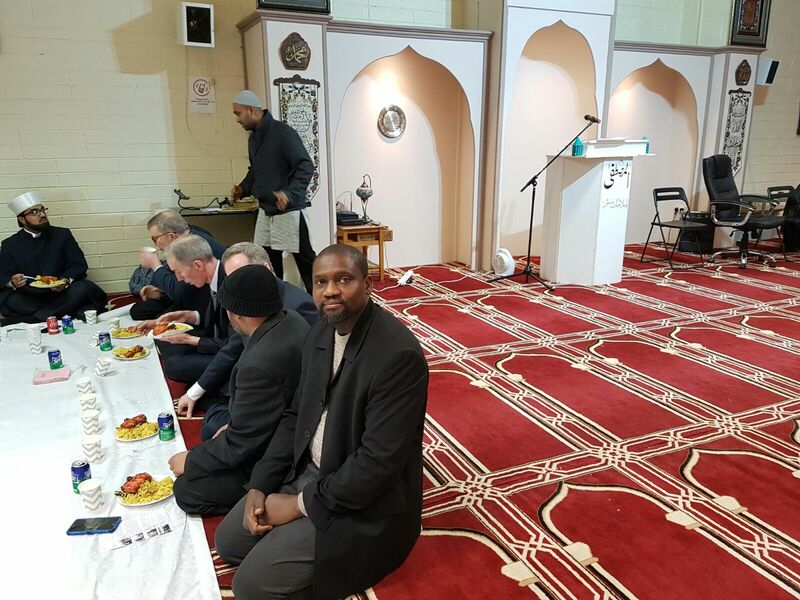 In return the Prophet Muhammad integrated in the Madinan life and remained loyal to Madinah. 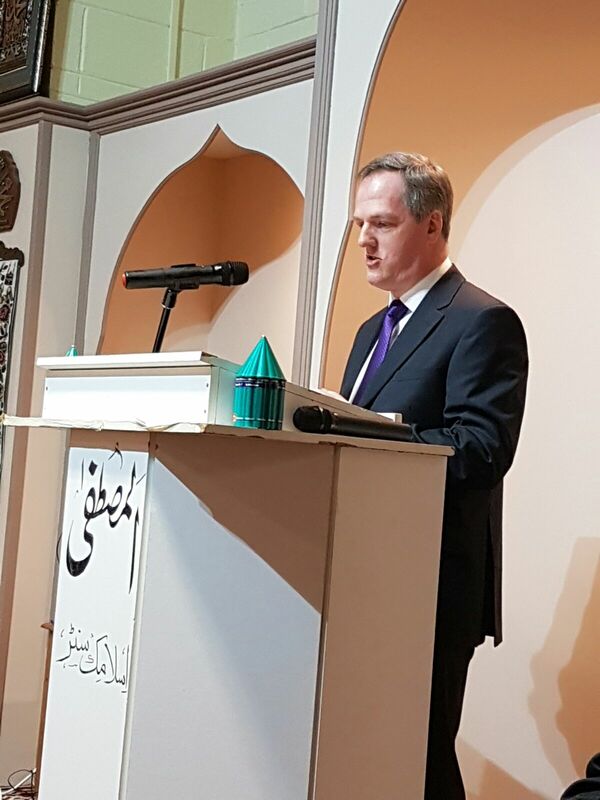 He also prayed to God to bless Madinah more than his homeland Makkah. 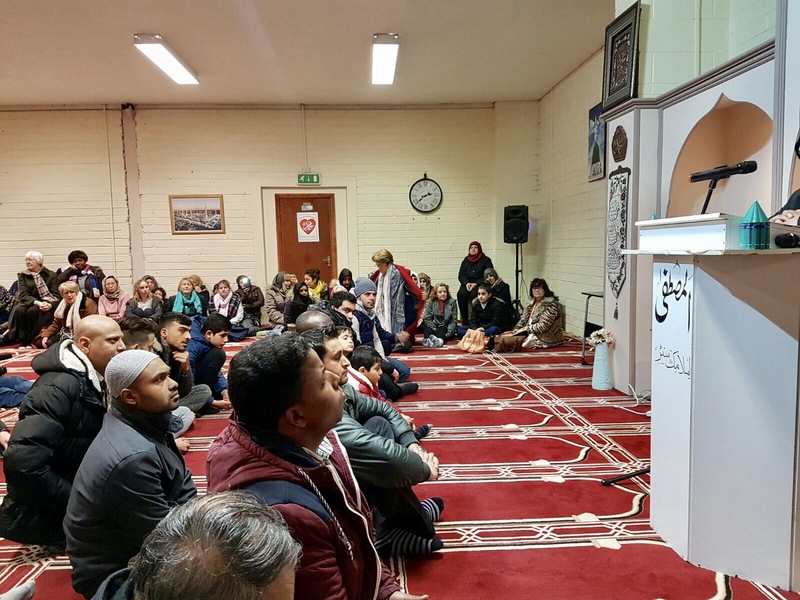 This was a message to his followers to always return with more compassion, generosity, kindness and good will to the society that welcomes and accepts you. 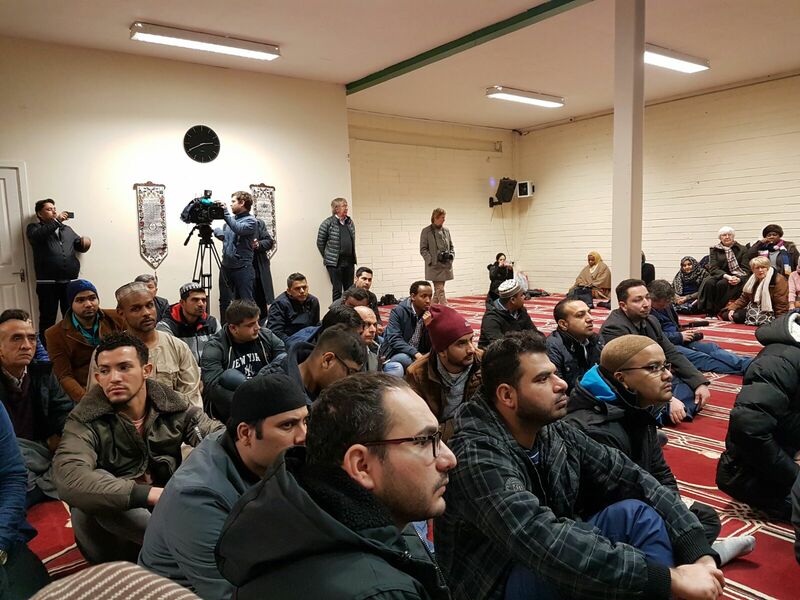 The Syrian refugees will arrived at 1pm in the Islamic Centre and attended the Friday prayers. 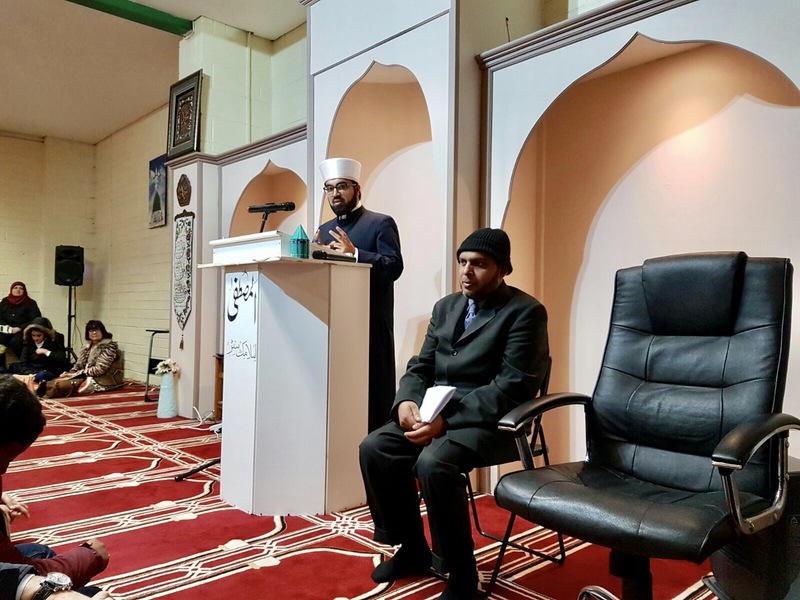 After the prayers were formally welcomed by the Shaykh and he spoke about the Importance of Integration from an Islamic perspective. 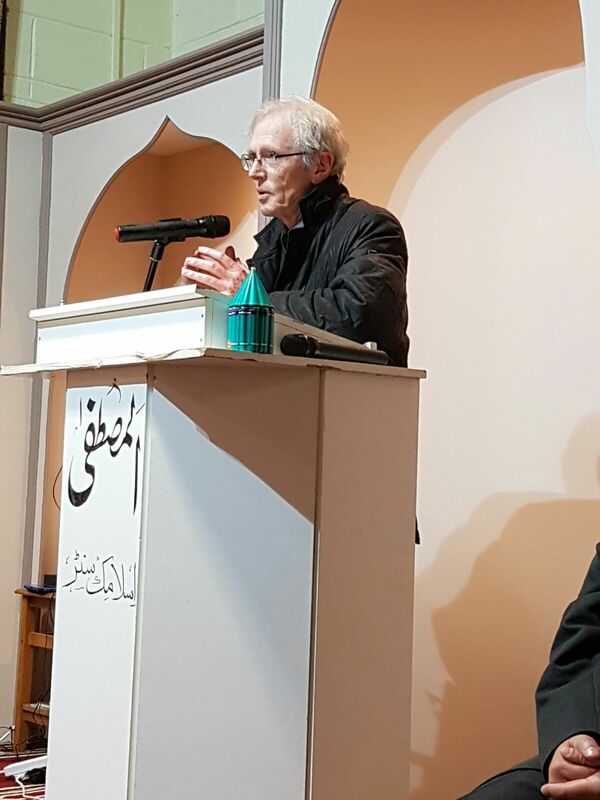 The guests were also welcomed by Pat Hynes from the Glancree Centre of Reconciliation, Father Joe Coyne from the St Ciarans Parish on behalf of the Irish people. 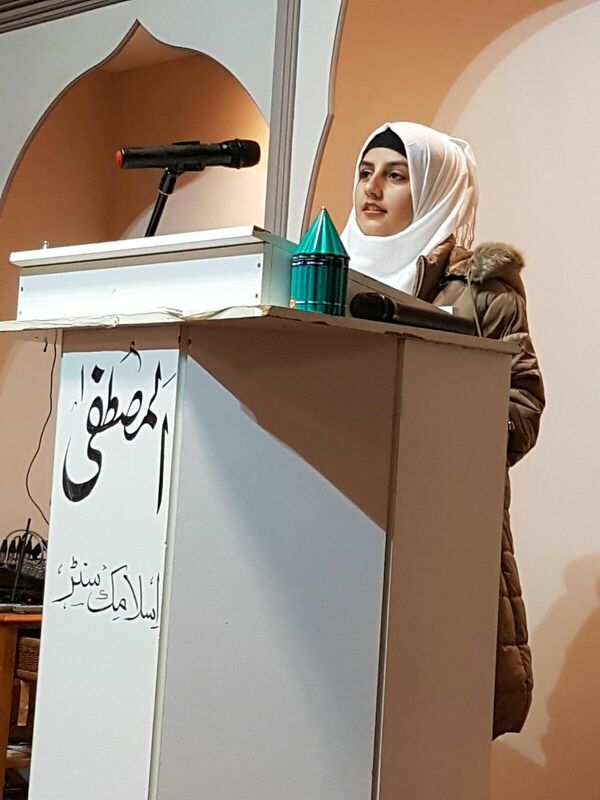 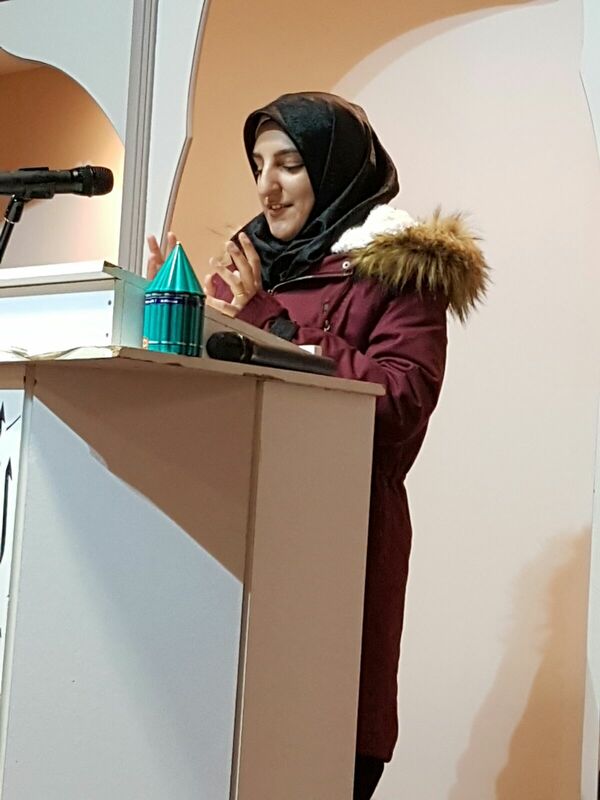 Maisa, Taqwa and Sara from the Al-Hariri family shared their feelings as Syrian refugees who have been welcomed and accepted by Ireland after having lived for almost a year in tents on a Greek Island. 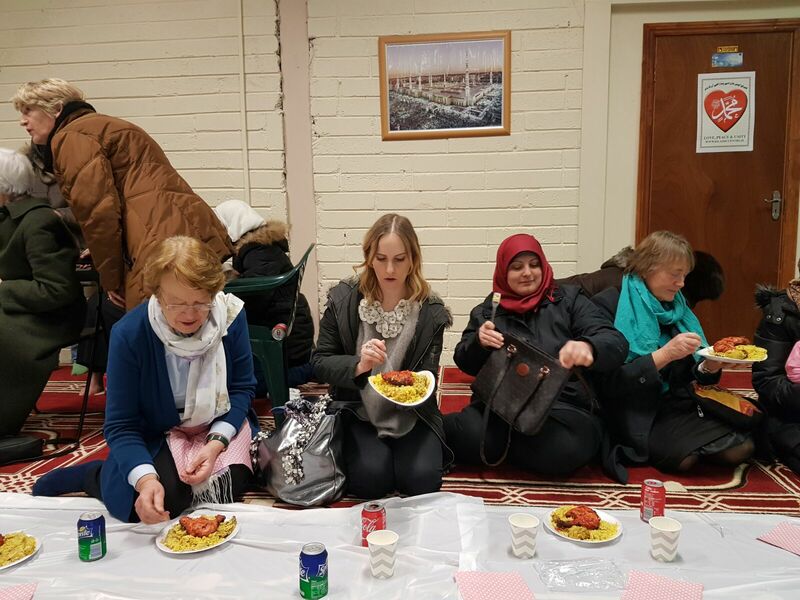 Each Syrian refugee family was also introduced to a host family who will support them in their resettlement and integration in Ireland. 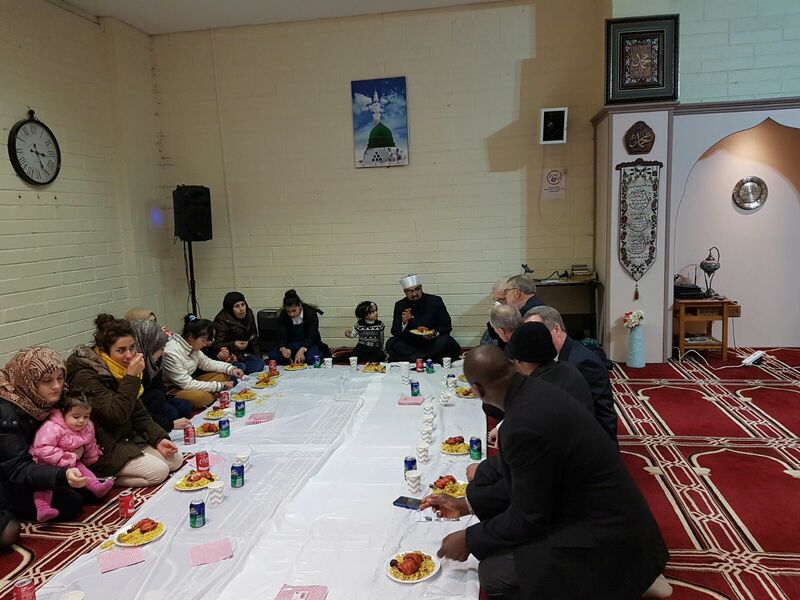 The event was concluded with a meal.